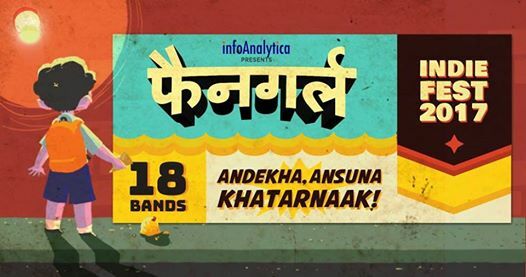 InfoAnalytica and Fangirl Live bring to you the biggest all-indie festival in Gujarat – Fangirl Indiefest 2017 that will see 18 curated bands from all over the country come down and play over 2 stages across 2 days. Over the 2 days of madness, you will stand to witness some of the best handpicked independent bands from the country, a flea market, a food truck park and loads of opportunities to unwind – making it the best weekend of the year! Fangirl Indiefest is presented by infoAnalytica, Inc. whose ethos is very similar to Fangirl’s – to always bring in something fresh to the table, to support and promote honesty in the work and most importantly – to disrupt the way things work around.